I am a veteran employee of Hainan Coconut Palm Group Co., Ltd. (HCPG), China’s largest producer of canned fruit beverages. More than 54 years have passed since 1964 when I first started working part-time at Haikou Cannery, the predecessor of the HCPG. 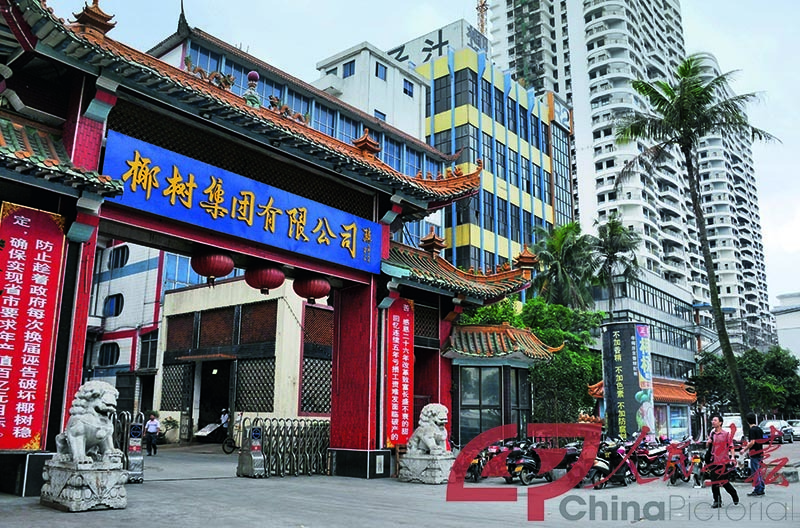 Established in 1956, Haikou Cannery was a large enterprise in Hainan. In the planned-economy era, under the instruction of the government, the factory produced a number of products including canned pineapple and canned fish, which proved quite popular among consumers. However, our production efficiency was low at the time. In the 1960s and 1970s, we were striving to raise annual output to 10,000 tons. To reach this goal, the municipal government of Haikou mobilized 30,000 workers and students across the city to support the factory. And that goal is tiny compared to the daily output of just one of the HCPG’s 23 factories today. This comparison evidences how dramatic the changes have been in the company as well as the country. In the 1980s, during China’s transition from a planned economy to a market economy, many state-owned companies lagged behind, including Haikou Cannery. From 1981 to 1985, the factory suffered losses for five consecutive years and replaced four managers. At the lowest point, 20,000 yuan saved it from bankruptcy. Many of its most talented employees left the factory. Backed into a corner, government officials were as nervous as the remaining staff as they hunted for someone to save the factory. Eventually, they found Wang Guangxing. By the time, Wang had worked in the cannery for nearly 30 years since being hired in 1958. He knew almost every corner of the factory after spending time working at every position. His consistent outstanding performance won him chances to lead teams of some state-owned companies including Haikou Beverage Factory. Wherever he went, production numbers improved. 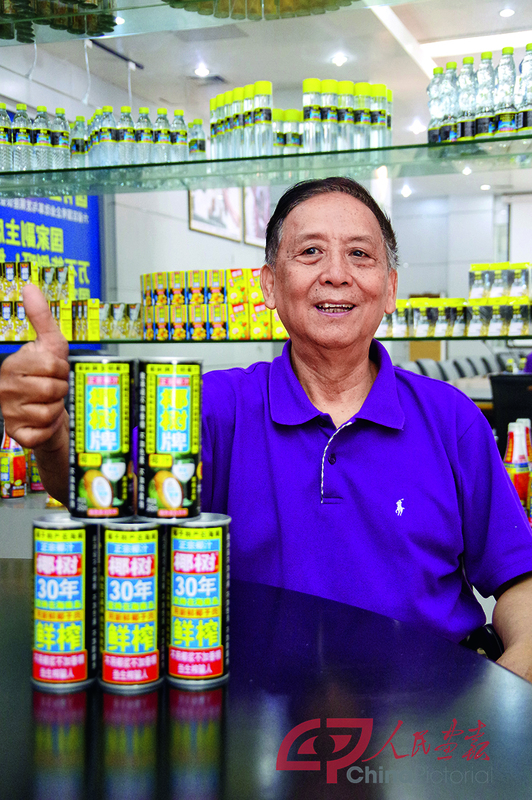 The municipal government determined that he was the best choice to “put out the fire.” In 1986, Wang Guangxing returned to the cannery to take over, hoping to pull it out of crisis. Wang began making a big difference the moment he took office. After Hainan Province was established in 1988, talent poured into the island from all parts of China. Wang seized the opportunity and wasted no time recruiting talented personnel and developing products. He focused on scientific and technological research. After the successful development of natural coconut juice processing technology, he proposed rewarding the research team a bonus of 300,000 yuan—an astronomical figure at the time, which caused strong public pressure and ever inspired a debate in Hainan Daily on such a big-ticket bonus for those who contributed to scientific and technological research. The debate culminated with full support from the provincial government, making the arrangement the first of its kind in the country. The initiative violated the interests of some, and others did not understand it. Wang Guangxing ran for election as a deputy to the People’s Congress of Haikou City, but lost: He didn’t get enough votes from the cannery. Every step on his ladder of corporate reform was littered with obstacles. In 1995, Haikou Cannery became one of the first 100 pilot companies in China to practice a modern enterprise system, and it was renamed Haikou Coconut Palm Group Co., Ltd. The company has since facilitated greater progress, offering jobs for 6,000 employees and enhancing the development of the entire coconut industry in Hainan. In general, it takes seven years for a coconut tree to produce fruits, and each tree can earn several hundred yuan a year. If a farmer grows hundreds or thousands of coconut trees, he can earn a substantial income for the family. Today, 500,000 farmers in Hainan have escaped poverty and became prosperous by planting coconut palms, and the coconut industry has solid prospects for development. I have been working for the HCPG all my life and have witnessed all the ups and downs of the company. There is so much to tell. I was most impressed by two things: First, a business cannot thrive without support from the country’s policies of economic reform and opening up. Second, a company cannot move forward without a competent leader. The road of reform is full of twists and turns. Nothing could have been achieved without solid faith and courage to overcome challenges. Huang Peilun, chairman of the Trade Union of Hainan Coconut Palm Group Co., Ltd., has been working there all his life, experiencing the rises and falls of the company.